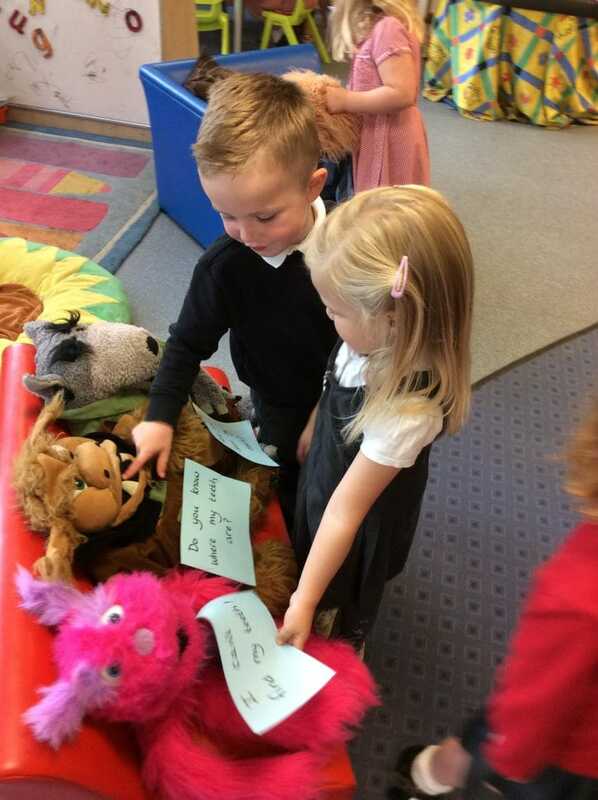 The children at Redland’s Nursery were very excited when Mrs Abraham announced a parcel had been delivered! We looked together at the box, wondering what could be inside. After many suggestions, including a spider, but definitely not an elephant (as the box was too small), we looked inside. 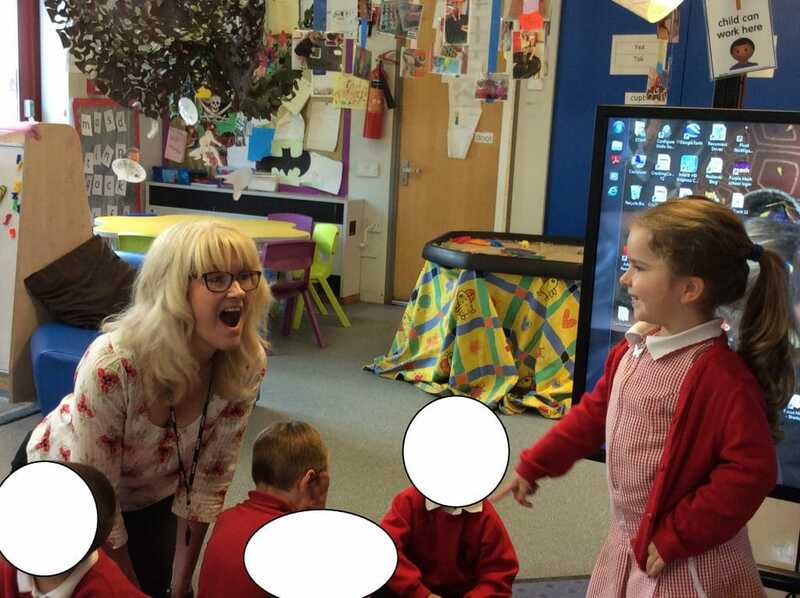 There were shrieks of horror and excitement as Mrs Abraham revealed a set of teeth! But who did they belong to? Lots of the children suggested various animals, including butterflies, which led to some research onto the I Pads into which animals had teeth like these. Some children suggested a monster, and many suggestions related to family or staff members. The children checked Mrs Walker, but they were not hers. 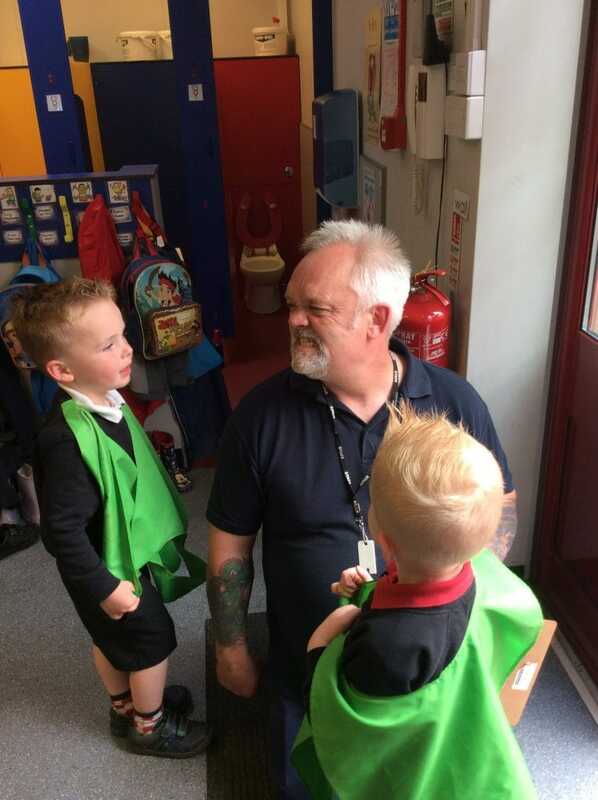 When Mr Tony, the caretaker came into Nursery, they checked his too, but they were not his. 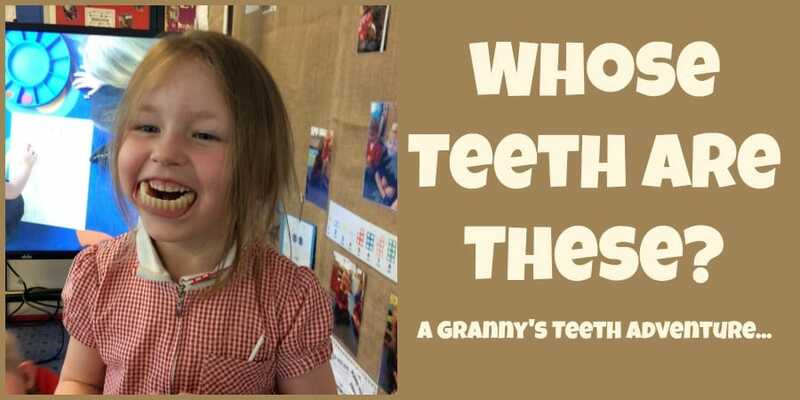 The next day, the children came to school very excited, with tales of grandparents they had called, asking if they’d lost their teeth, pets they had checked and siblings too, but still they could not find anyone who appeared to have lost their teeth! 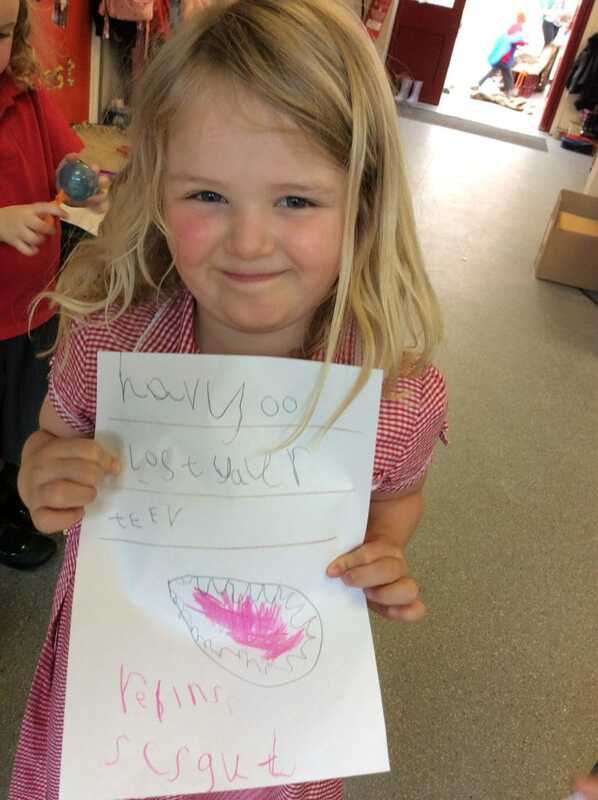 They decided to make posters, asking if anyone had lost their teeth. 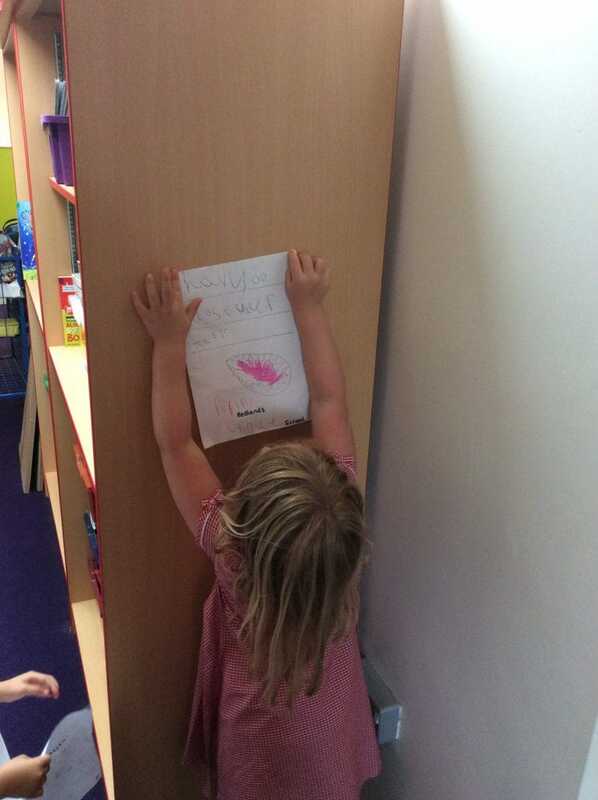 The children were keen to stick them up around school. 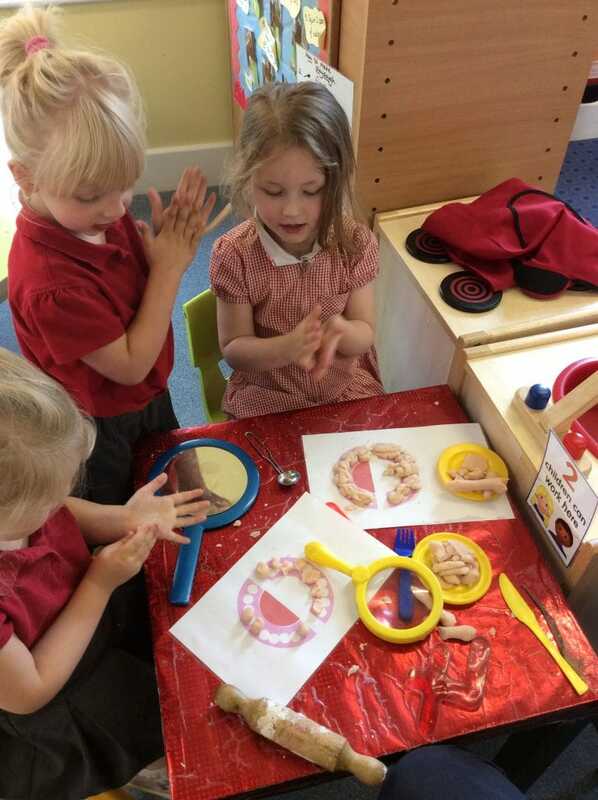 That day, we investigated teeth, looking at and cleaning a giant set of teeth and checking our own teeth with dental mirrors. We read stories and non-fiction books about teeth, and explored and sorted ‘teeth’ (broken Polo mints! 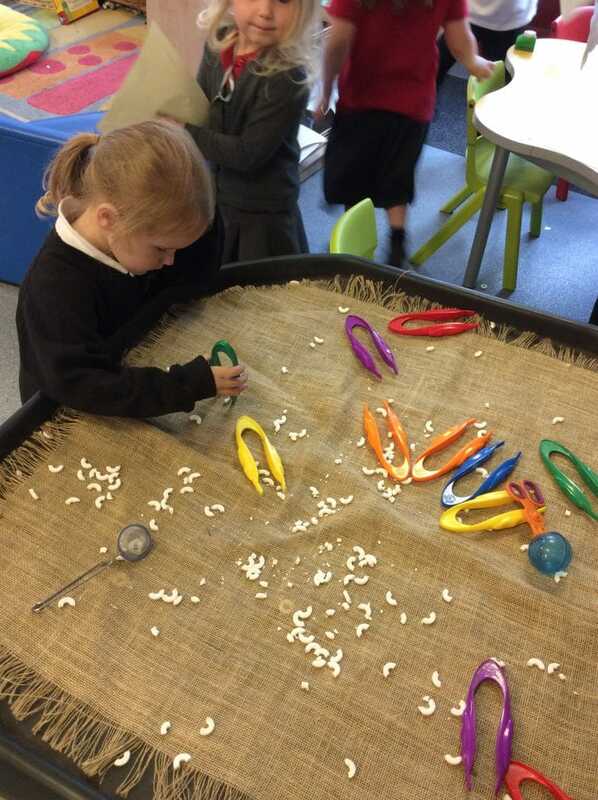 ), using the tweezers in the fine motor area. 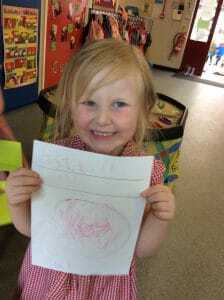 We also wrote in toothpaste, with our fingers and toothbrushes and made teeth to fit in a mouth using playdough. 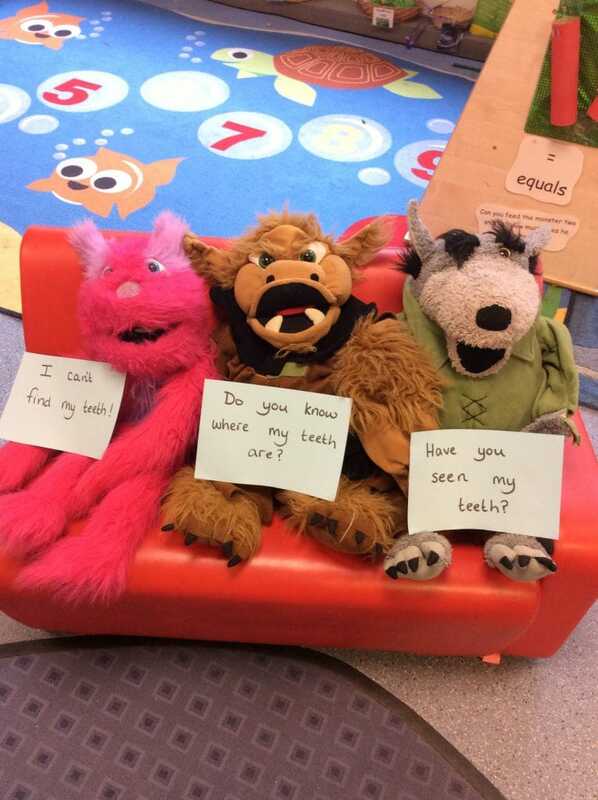 On Wednesday, we had surprise visitors, all claiming to have lost their teeth! 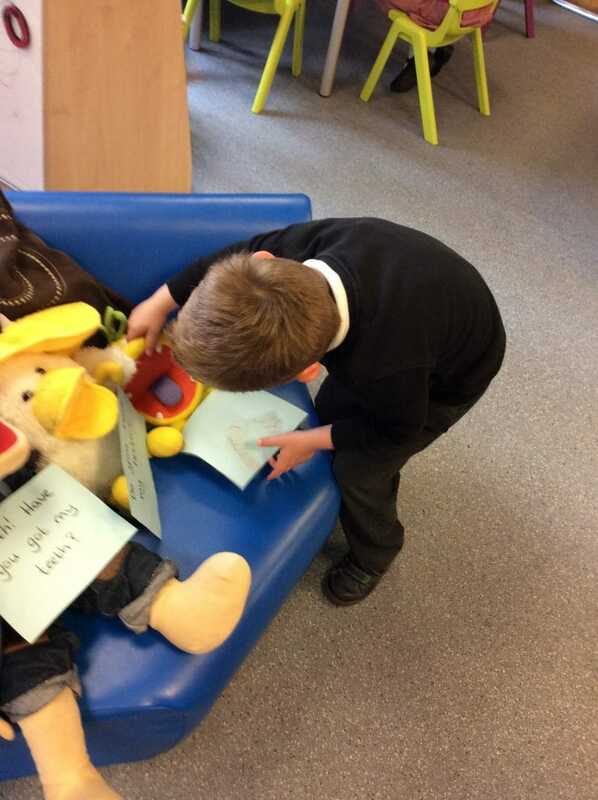 We read their notes and through trial and error, we discovered that they were the monsters teeth! We tried them in different monsters mouths. Until we found the one that fit them perfectly! We sent the monster back to his homeland, with his teeth securely in place. 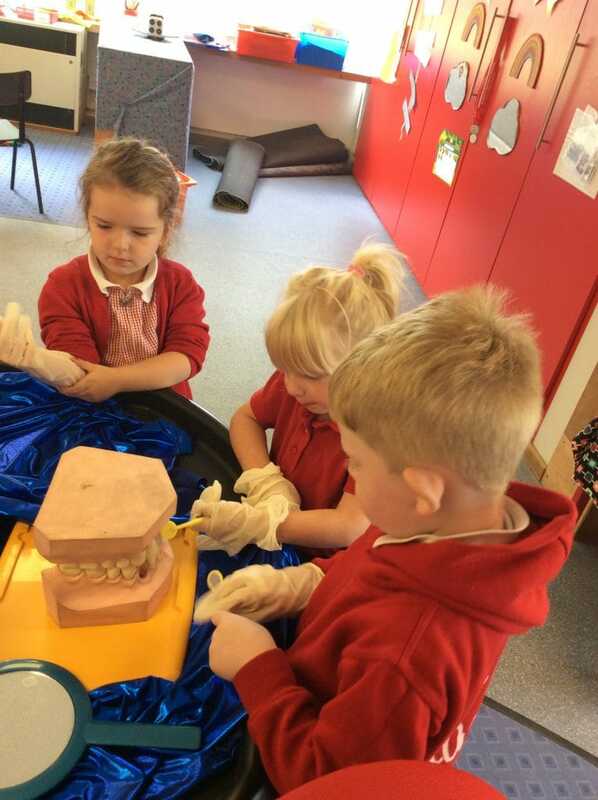 We have all had a great week exploring teeth, and learning about how to look after our teeth. Thank you! 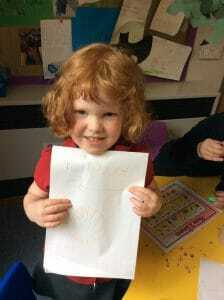 No, Thank you Mrs Abrahams and the children at Redlands. 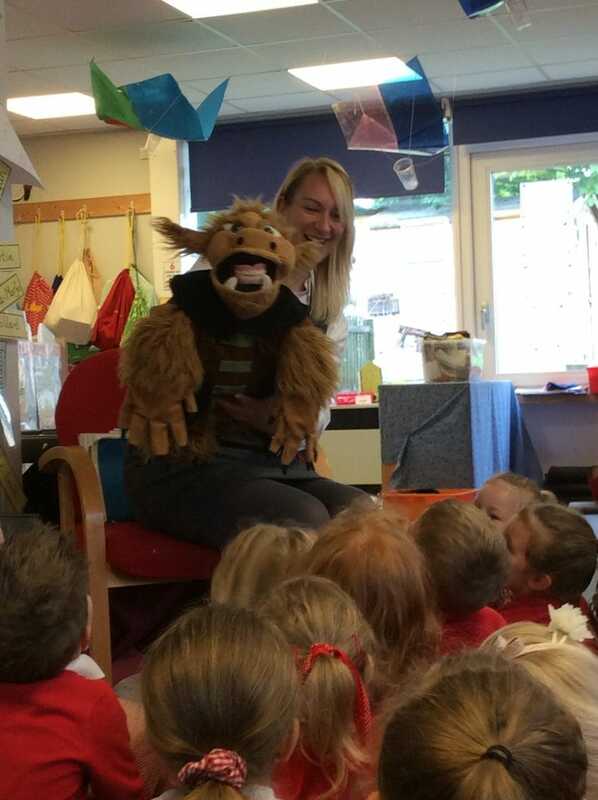 Who knew that some monsters had false teeth! Good work! This is brilliant so much fun …….where does one find such teeth? should a monster happen to still have theirs? 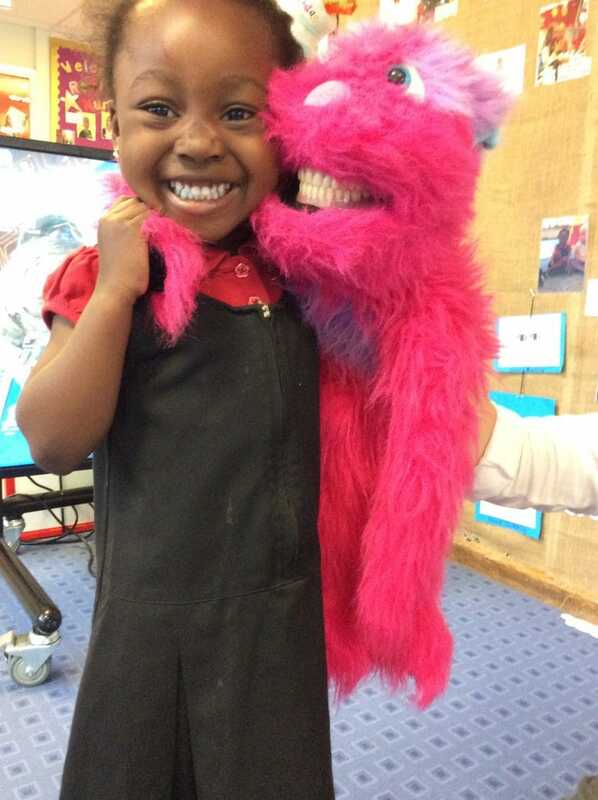 Brilliant story and props to engage the children, I am sure their teeth will receive extra care from now on. What an adventure you all had! This is fabulous. Well done to everyone at Redlands. Will definitely be pinching this idea! 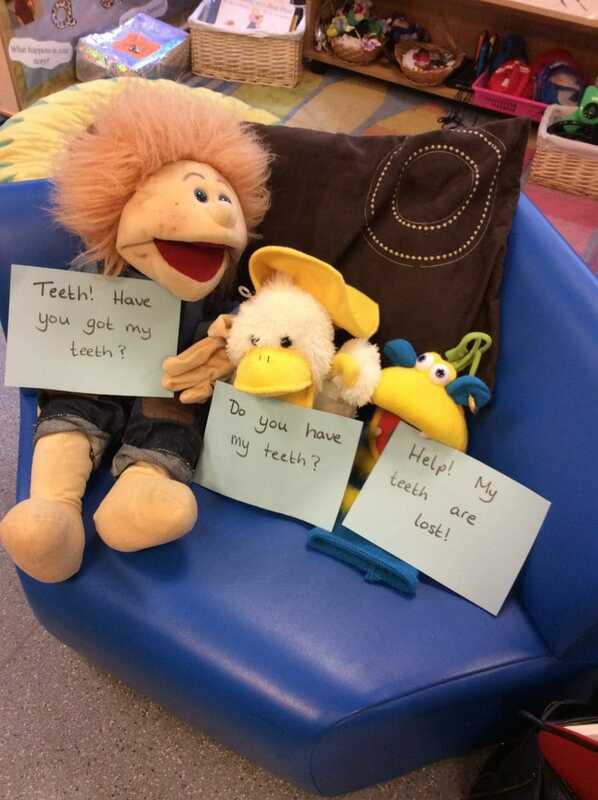 I used the ‘Granny’s Teeth scenario’ with my Reception class this week. Can we share it with you? It was excellent!! Lots of learning and excitement had by all!